V-File 19 and Folders - GS Direct, Inc. 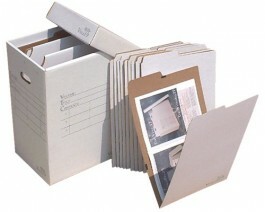 Perfect for filing, protecting, and storing documents, prints, graphics, art, film & other items that need to remain flat. Stores Various Media up to 12"x18" -- Ideal for 11"x17" and 12"x18"
VFile19 holds 30 VFolder19's with up to 750 sheets.